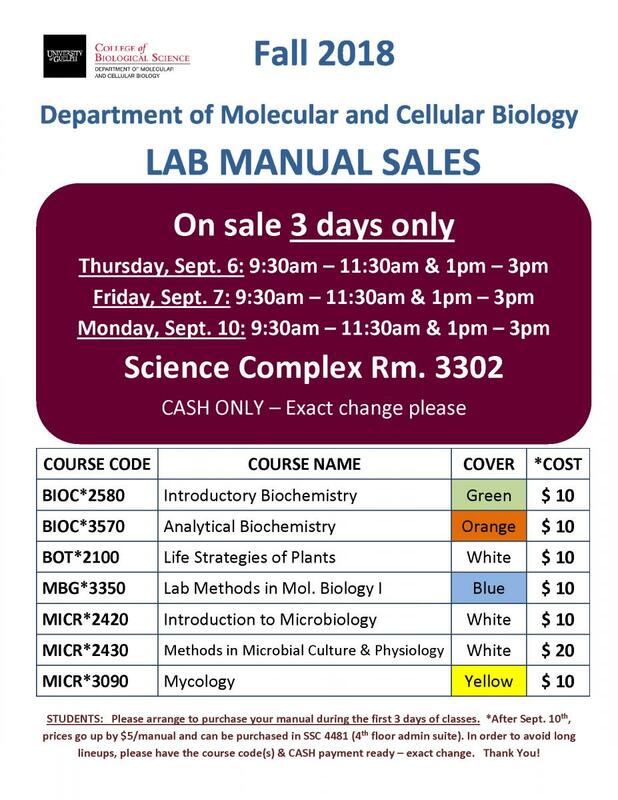 MCB F18 Lab Manuals will be on sale 3 days only starting the first day of classes: Thursday, Friday & Monday (Sept., 6,7, & 10, 2018). Hours each day are 9:30am to 11:30am and 1:00pm to 3:00pm. Cash only - please bring exact change. Prices are listed on the flyer below. Final sale. (Late sales will take place in Science Complex Room 4481 - 4th floor Admin Suite).